Wargs have pursued you into the wastelands! 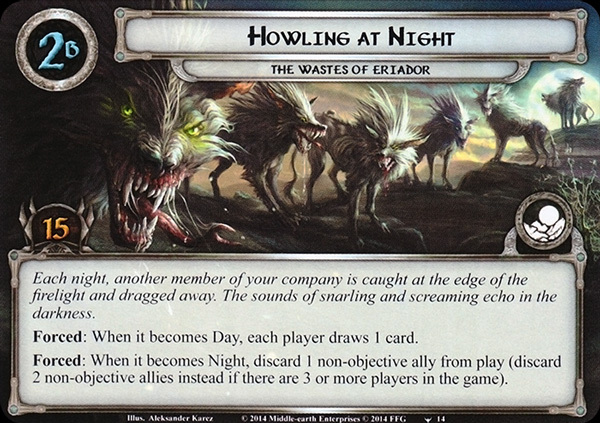 They hound your every step, slowing your progress by day and attacking you when the sun has set. Each night, another member of your company is caught at the edge of the firelight and dragged away. The sounds of snarling and screaming echo into the darkness. Forced: When it becomes Day, each player draws 1 card. 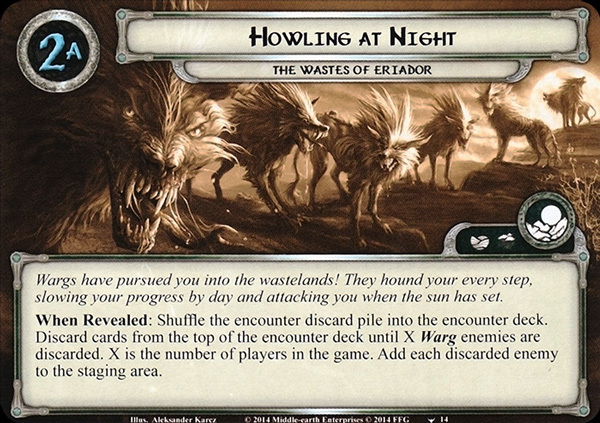 Forced: When it becomes Night, discard 1 non-objective ally from play (discard 2 non-objective allies instead if there are 3 or more players in the game).